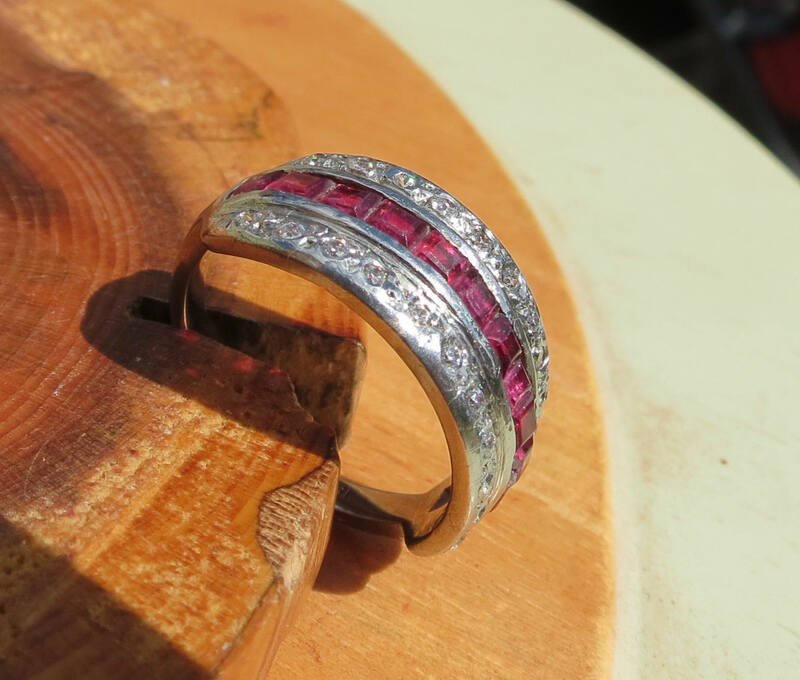 18K white gold ring with 1/2 Carat of square cut rubies & white topaz accents. 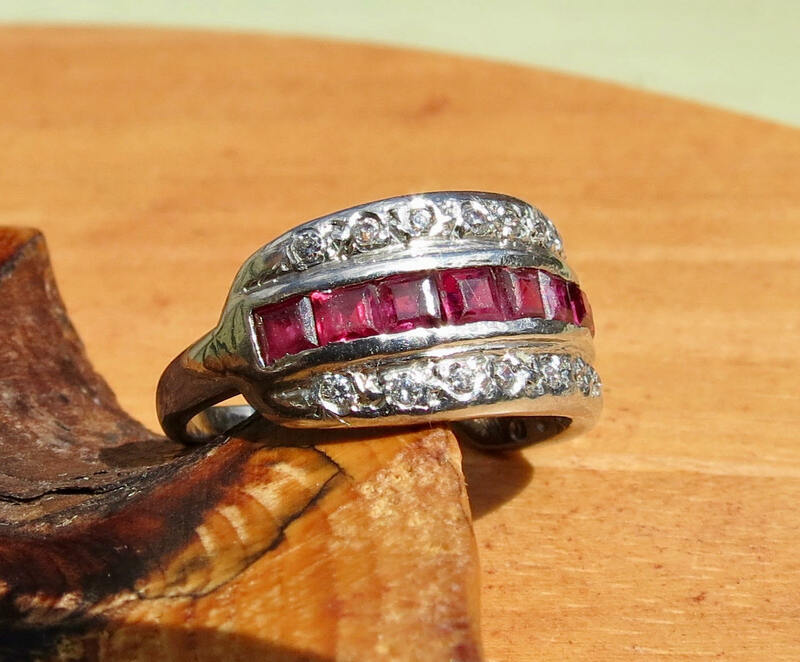 This vintage 18K white gold ring has 14 square step cut rubies total weight 1/2 Carat in a channel setting with white topaz accents alone both edges. 1/4 oz of heavy 18K gold. Hallmark 18k stamp. 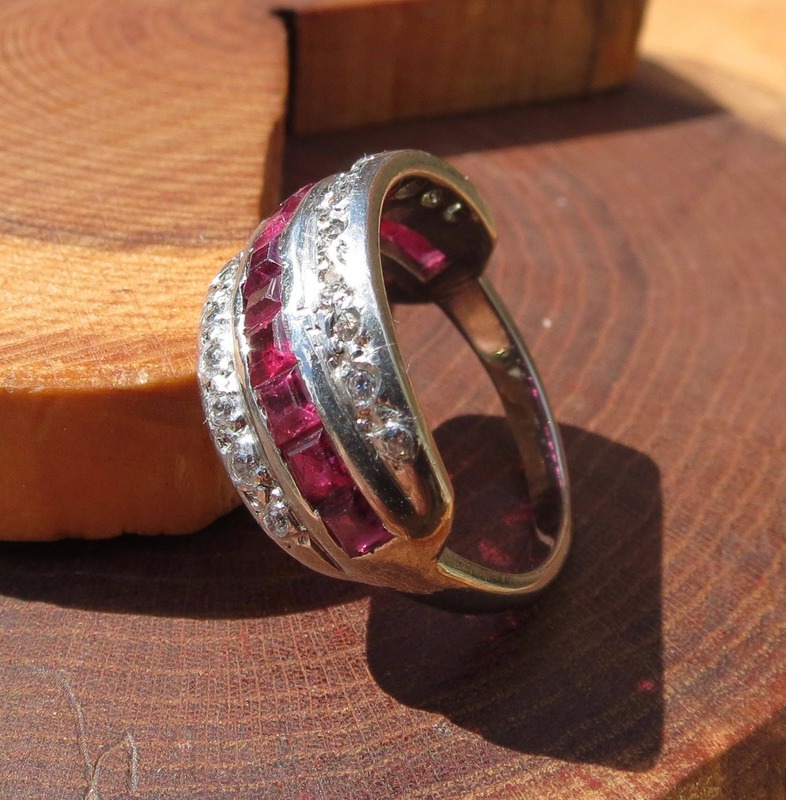 Rings can be resized at most high street Jewellers at a minimal cost. 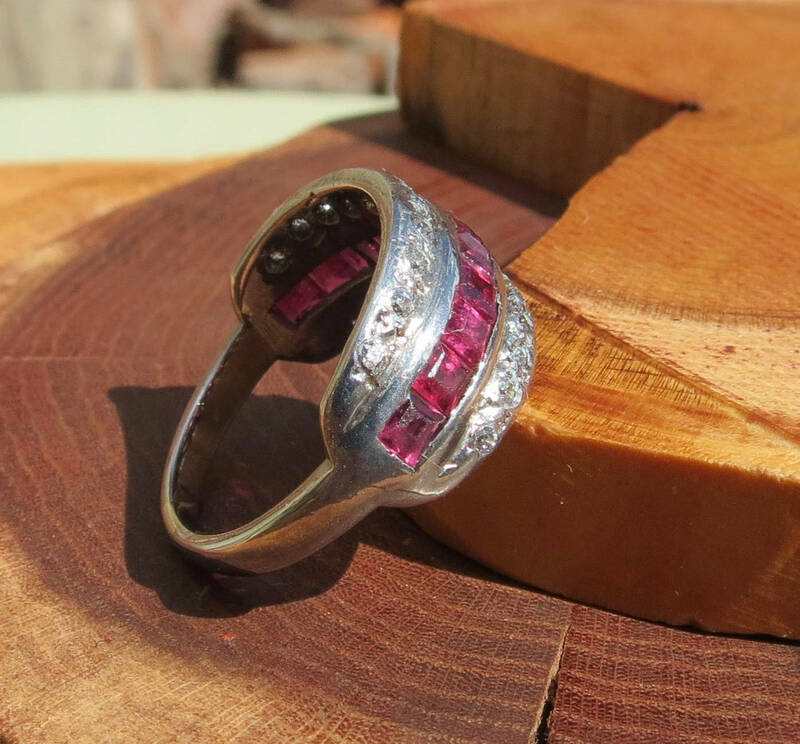 Or if you prefer I can have my goldsmith resize it for you at an additional cost from £20 ($30). 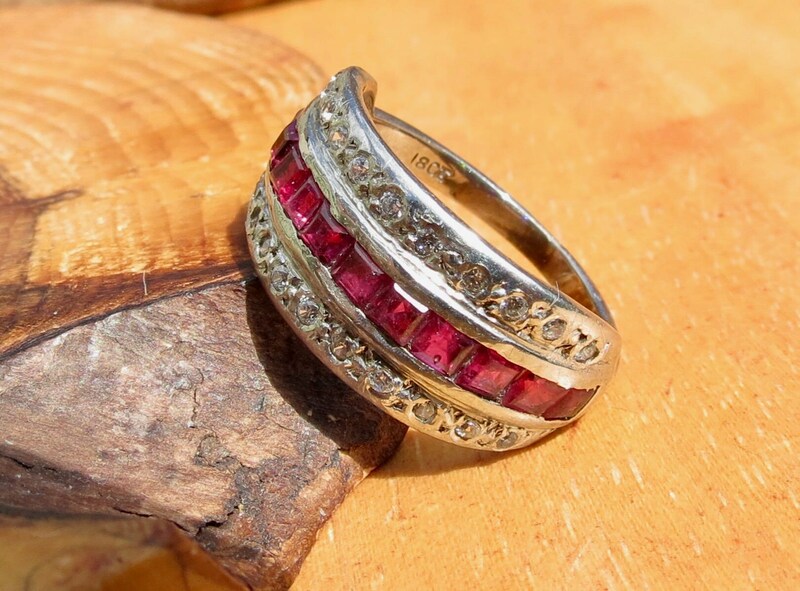 Jut add the resize my ring listing to your cart before going through checkout.